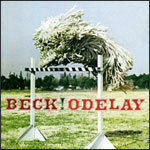 The latest failed attempt to write about Beck’s Odelay is due to that seasonal affliction, spring fever, where the mashed potato brain gets locked in a tunnel vision trap of trying to maximize every free moment and check off items from a bucket list created during another grueling, cooped-up winter. I think the main reason previous attempts brought me no closer to the goal at hand is because I do not possess the right bag of linguistic tricks to pay proper tribute to the magician, the master of words, rhythm, and rhyme. Trying to jack up my wordplay results in nothing but an ugly case of literary karaoke. Conversely, trying to tone it down results in stew of muddy adjectives that do nothing to capture Beck’s funked-out fearlessness (“backwash man,” “leprous faces,” “sawdust songs,” “two bit cares,” “two turntables and a microphone”). In summary, writer’s block dead-ends into a tribute-elusive emptiness. Angst accumulates. Like an exposed root that manifests from the hole of a cavity, writer’s block is a nagging annoyance that lingers, poking and prodding until the day of reckoning arrives when avoidance is no longer an option, intimidation of dentist drills and Beck’s vernacular be damned. When in doubt, stick to the basics. What’s the draw? Maybe I had made this more complicated than it needed to be. Odelay is a tripped-out-anything-goes melting pot, from rock to funk to country to blues. Beck drives the sounds, you go for the ride. Four-star or similar salutes meant to sum up adoration at a glance might have their place in the fast-track lanes of lost time, but if it is appreciation that one wishes to convey, star scales or thumbs pointed up are not always adequate tools. Full circle: With Odelay, I end up right back at the beginning, deferring, resigned to awareness that words have gotten the best of me once again. Perhaps there is no real shame there, at least not this go-round.